Aurora Dental provides dental implant services in Aurora, OH. Call 330-562-3400 to learn more and schedule your appointment. 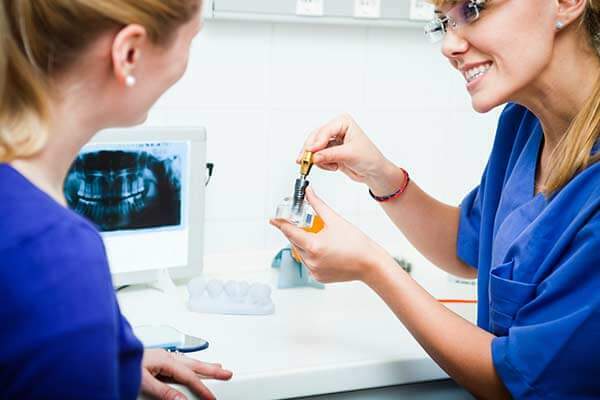 Dental implants have become the gold standard for replacing missing teeth. They provide a strong, stable, and durable foundation for high quality replacement teeth. They restore nearly all of the original bite strength, and they can halt or even reverse bone loss in the jaw. Like any other dental procedure, dental implants are not right for everyone. We will assess your current oral and physical health before we begin. Those with underlying health conditions such as high blood pressure or diabetes should get those under control before any oral surgery, and those who need other dental work such as fillings or root canals must have those procedures done first. In addition, if you suffer from severe jawbone loss, you may need bone grafting before we can proceed. We will let you know whether you are a candidate for dental implants and what needs to happen before your implant surgery. 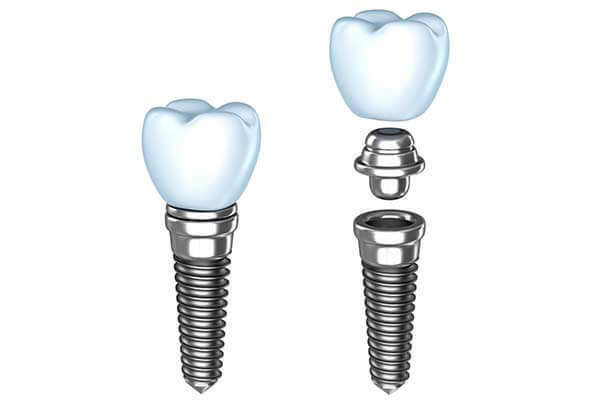 A single dental implant can support one dental crown. During a minor oral surgery procedure, a tiny sliver of biocompatible titanium is inserted into the jawbone. It is topped with a healing cap or cover screw and allowed to heal for several weeks, during which it fuses with the bone. 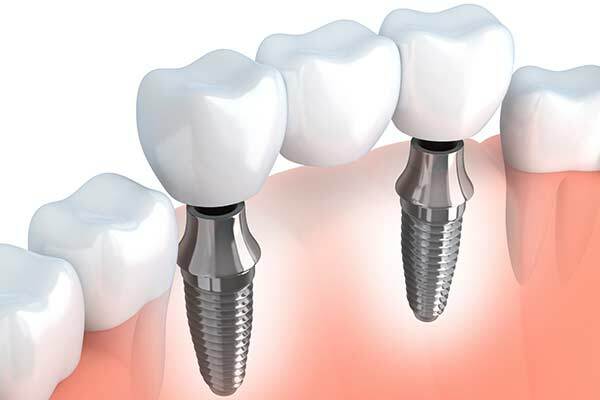 Then the healing cap or cover screw is removed and an abutment is used to attach the implant to a custom-crafted crown. An implant supported bridge can replace three or more missing teeth in a row. 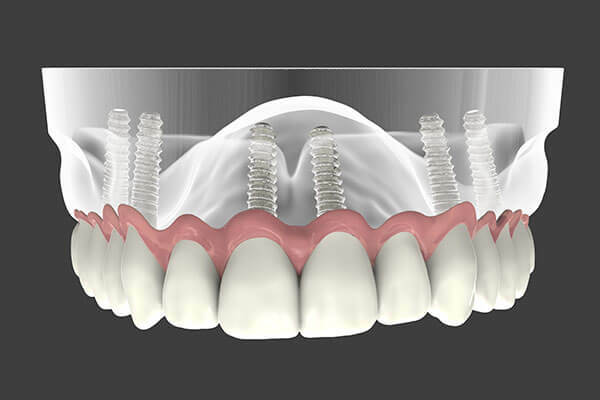 Dental implants at each end are used to support the bridge, protecting the natural teeth. This is a highly functional and natural-looking restoration. 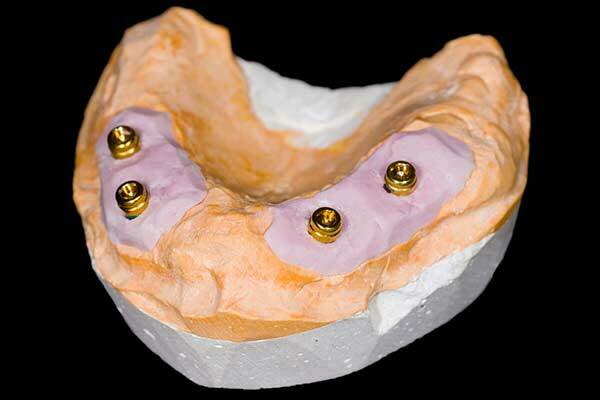 Just two dental implants can add strength and stability to a removable denture. A handful of implants can support an entire arch of fixed, high quality replacement teeth. Both solutions are considered superior to traditional dentures, which are prone to slipping and pinching and restore just a fraction of bite strength. The All-on-Four is a unique dental implant solution for patients who are missing all of their teeth on the upper or lower arch. Using just 4 dental implants, we can place a fixed set of replacement teeth at the same appointment. You will not need to wear a temporary denture during the healing process. Contact Aurora Dental if you are in need of dental implants in Aurora, OH. Call 330-562-3400 to schedule your appointment.